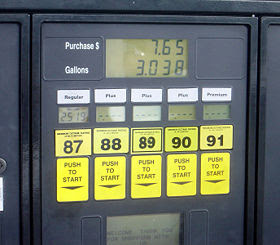 The "what octane gas to use" question comes up frequently on motorcycle forums. Often, the motorcyclists posting such questions (and some who answer such posts) equate higher octane, more expensive gasoline with better performance. The information for making the appropriate choice of octane rating is easily accessible courtesy of Dr. Google, but the short answer is always "the lowest octane rating that doesn't induce preignition". If your motorcycle engine has stock internals (99% of us), that means using the lowest octane rating recommended by the OEM (check the owner's manual). If you've got an engine with a higher compression ratio than stock, you'll have to experiment to find the lowest octane that doesn't cause pinging. In Part II, we'll explore whether there's a difference between brands of retail gasoline in the USA.